Ingeborg Danz will take over the artistic direction of the International Schubert-Competition Dortmund in the next LiedDuo-Competition (September 2018, Dortmund). She takes over the position of Irwin Gage, whom the competition thanks for his great commitment in recent years. Born in Witten an der Ruhr, alto singer Ingeborg Danz studied school music at the University of Music Detmold. After her state examination, she continued her studies with Heiner Eckels and finished her concert examination with distinction. She was awarded numerous prizes and scholarships of the German Music Council and the Richard-Wagner Society. Despite of the fact that Ingeborg Danz has already guest performed at various opera houses such as Hamburg State Opera she focuses undoubtedly on concert singing and recitals. She is regularly performing with Internationale Bachakademie Stuttgart and Helmut Rilling, as well as with Philippe Herreweghe and the Collegium Vocale Gent. Ingeborg Danz´ concert repertoire includes late Romantic works such as Mahler’s symphonies, Berlioz’ Nuits d’été, Schumann’s Faust-Szenen, masses by Bruckner and Beethoven but she can be considered as one of the leading Bach alto singers. After a performance of the b-minor Mass with the Munich Philharmonic a critic from Munich wrote: “Ingeborg Danz, the currently leading interpreter – those who have been musically overwhelmed by this “Agnus Dei”-Aria are spoiled for all further b-minor-Masses to come!” Being a member of the board, Ingeborg Danz is also closely connected to The Neue Bachgesellschaft Leipzig. She has worked with conductors like Riccardo Muti, Herbert Blomstedt, Manfred Honeck, Christopher Hogwood, Philippe Herreweghe, Riccardo Chailly, Heinz Holliger, Helmuth Rilling, Ivan Fischer, Ingo Metzmacher and Semyon Bychkov at prestigious venues as Teatro Alla Scala, the Festivals of Lucerne and Salzburg and the world´s major orchestras: Royal Concertgebouw Orchestra, Boston Symphony Orchestra, Vienna Philharmonic Orchestra and Munich Philharmonic , Gewandhaus Orchestra Leipzig, Bavarian Radio Symphony Orchestra , DSO Berlin, NDR Hamburg, Bamberger Symphoniker, SWR Radio Symphony Orchestra Stuttgart, Swedish Radio Symphony Orchestra, Berlin Philharmonic, NHK Symphony Orchestra, San Francisco Orchestra, Los Angeles Philharmonic Orchestra, Minnesota Orchestra, National Symphony Orchestra Washington and Chicago Symphony Orchestra. In the current season, Ingeborg Danz will, amongst others, guest perform at the Collegium 1704 (Mozart´s Requiem) in Warsaw under Vaclav Luks, sing in Bach´s b-minor Mass at the Théâtre des Champs-Elysées with Bachakademie Stuttgart and Dvorak´s Stabat Mater at the Philharmonie Berlin with the Staatskapelle Halle and conductor Jörg P. Weigle. With the Philharmonisches Staatsorchester Hamburg she can be heard in Hamburg under Enoch zu Guttenberg with a cantata by J. S. Bach and Beethoven´s 9th Symphony. Furthermore, she is performing Bach´s Christmas Oratorio in Dresden´s Frauenkirche under Roderich Kreile. Ingeborg Danz has a particular passion for recitals. Accompanied on the piano by Michael Gees or Daniel Heide she performs recitals, awarding her regularly exuberant reviews. 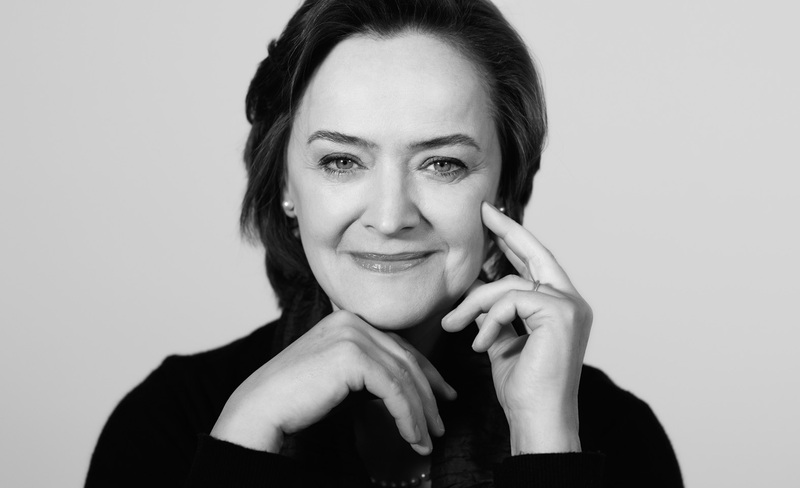 Her extensive repertoire is documented by many CD recordings: Mozart Masses under the baton of Nikolaus Harnoncourt published by Teldec, distinguished recordings with Philippe Herreweghe with Harmonia Mundi, Lieder by Johannes Brahms with hänssler as well as a coproduction with Stuttgart Bachakademie under Helmuth Rilling, amongst others both Bach Passions, b-minor-Mass and Christmas Oratorio – also with hänssler. Brilliant Classics published a box dedicated to the complete works of Johannes Brahms, including a Lied-CD with Ingeborg Danz accompanied on the piano by Helmut Deutsch. Next → Next post: III. LiedDuo-Competition takes place from 24.-30. September 2018!